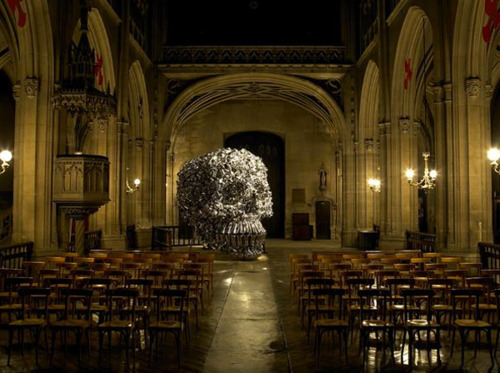 London: Following its success at the Kochi-Muziris Biennale, Houser & Wirth, London, decided to showcase to an international audience Subodh Gupta’s installation “What does the vessel contain, that the river does not”. “What does the vat contain that is not in the river? What does the room encompass that is not in the city? In this poem, Rumi embeds among the lines the idea that the entire universe is contained in our soul. 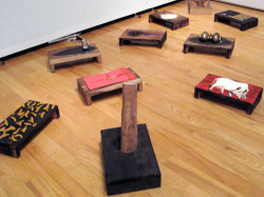 Gupta was touched by this concept, and chose to visually express Rumi’s words through an art installation that drew parallels between an individuals’s life and a boat. 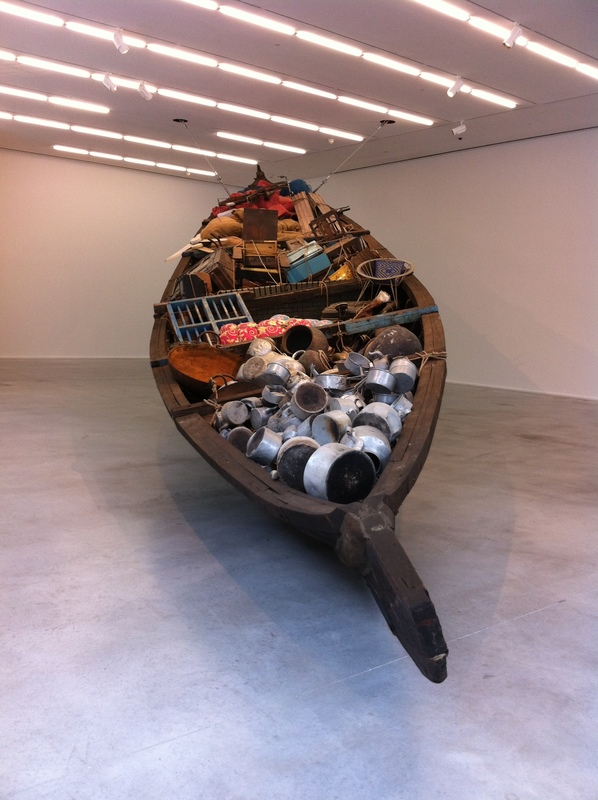 The artist filled the vessel, a traditional fishing boat from Kerala, with common objects that he found in Kochi and Delhi, carefully piling them into the vessel. 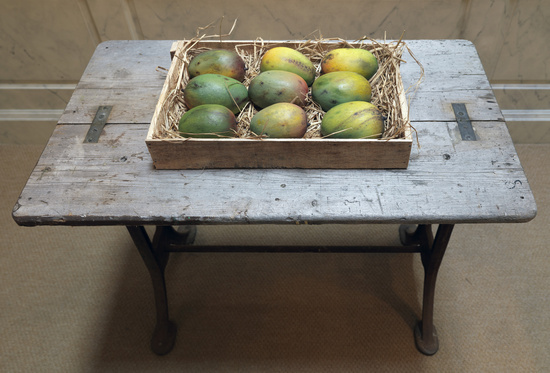 Chairs, beds, a bicycle, window frames, fishing nets and cooking pots are among the objects Gupta has used to represent our cluttered lives. Through this work Gupta also raises questions about cultural dislocation, feelings of belonging and displacement, movement and stability, which are symbols of the current epoch. Hence the boat acquires both positive and negative connotations. 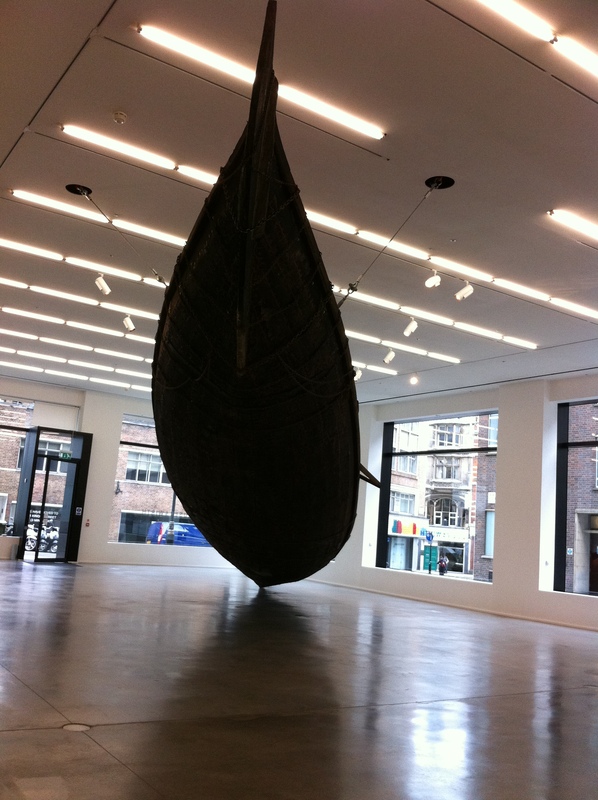 The fact that the boat is displayed with one end raised up from the floor gives the impression that it is floating, and transmits positive energies. At the same time, however, walking underneath the raised boat generates feelings of anxiety and discomfort. 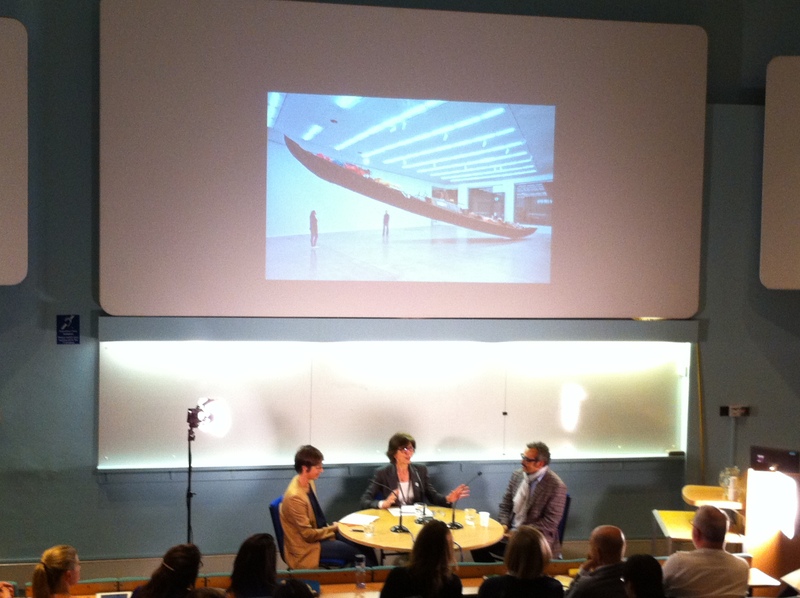 Last Tuesday, in conjunction with the exhibition at Hauser & Wirth, the Courtauld Institute of Art in London hosted a panel discussion titled ‘The Routes of Success’, between Subodh Gupta, Jessica Morgan (the Daskalopoulos Curator, International Art, Tate Modern) and Deborah Swallow (Director of the Courtauld Institute of Art). The panel discussion was preceded by a presentation by an unexpectedly shy Subodh Gupta, who discussed his major works of which you find a selection between the text below. After the presentation, a more confident and very entertaining Gupta had a very interesting exchange with Morgan and Swallow. The artist revealed his past as an aspiring actor, a career that was derailed once he started painting film posters. In fact, he only joined art school because he was convinced by his friends. 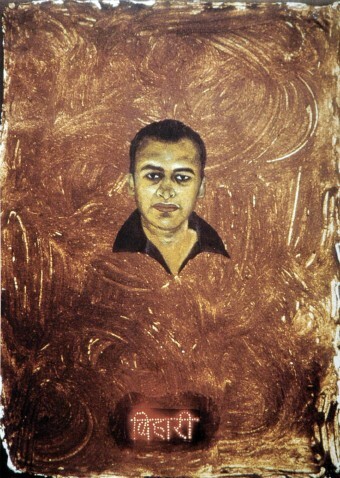 And now he is one of the most acclaimed Indian contemporary artists in the world! 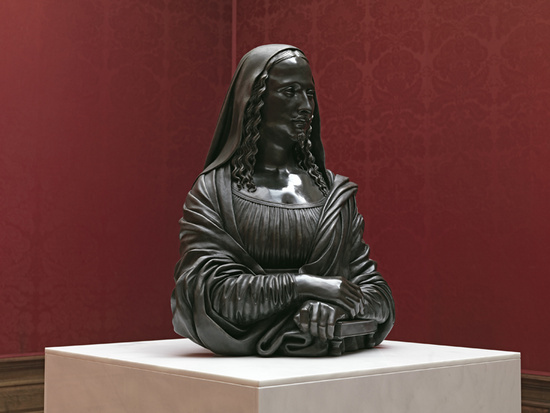 The scale of his artworks was also one of the topics tackled in the discussion. Although slightly shy on stage, Gupta is not shy at all in his artworks’ dimensions! The artist however stated that the creation of large artworks wasn’t premeditated; it just happened. And once it started it became a habit, and now he can’t stop it! Gupta also discussed his love/hate relationship with painting. It is something he doesn’t feel confident about and that is one of the reasons why he often “secretly” embeds photography in his paintings. He said: “painting is hard to make, doing a good one is like reaching nirvana”! The artist also added that he doesn’t intentionally make political art, but art comes from where you live, from what surrounds you, and so that is why politics and social issues cannot be taken away from it. His main influences are to be found in the work of some of the Indian masters such as M.F. Husain, Jagdish Swaminatan, Francis Newton Souza, and more recently in the Khoj Workshop that freed him from any kind of restrictions on his creativity. I would like to conclude with an interesting question/point of discussion that came up during the talk about whether it is always possible to transport art outside its country of origin. This was discussed in respect of Spirit Eater, one of Subodh Gupta’s latest works which is deeply embedded with cultural references and traditions which make it extremely difficult to be understood. The artist was reluctant about the idea of compulsorily bringing his art out of India, because sometimes it could be misunderstood and its original message lost. 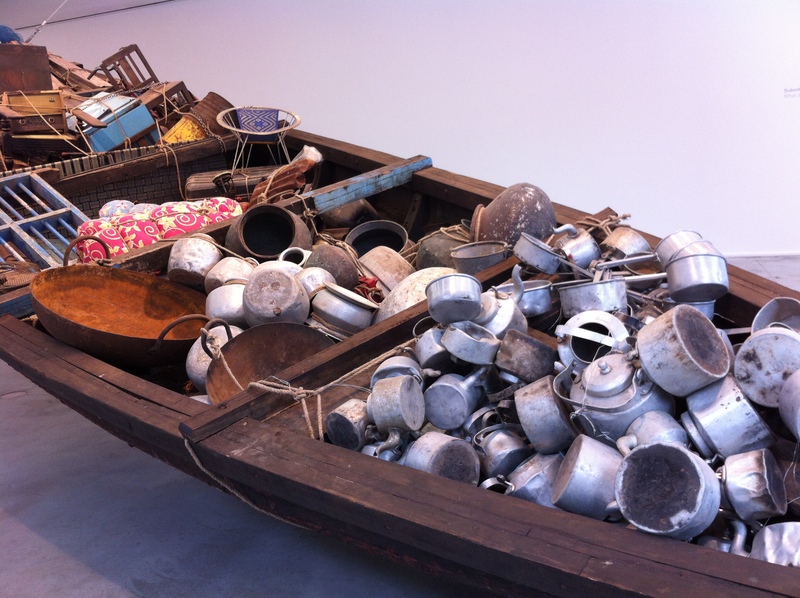 I’ll leave you reflecting on this topic, and encourage you to visit Subodh Gupta’s exhibition in London. Click here for more information on the exhibition.